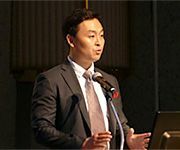 The third annual workshop to discuss the advancement of research towards the realization of the 5th generation mobile communications system (5G) was held. 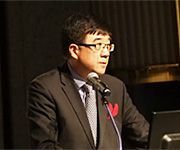 Presentations were given on activities, both in Japan and abroad, working towards the realization of 5G as well as the demands and expectations for the use of 5G in the industrial world, which is expected to benefit greatly from 5G. 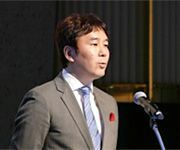 In addition a panel discussion was held, where opinions were exchanged about new mobile services that would be introduced to the world using 5G systems from the year 2020. 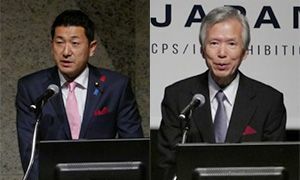 The Panel Discussion was moderated by Strategy and Planning Committee Deputy Chairman Mr. Takehiro Nakamura and included, in addition to the day’s presenters, 5GMF Technical Committee chairman Prof. Seiichi Sampei of Osaka University. 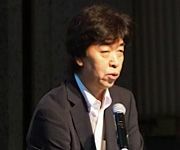 The panelists exchanged opinions on issues including verification trials needed to realize 5G, cooperation with industries outside the telecommunications field, and how to raise the public’s interest in 5G. 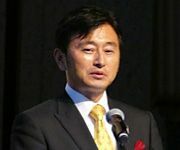 – As Korea, China and Japan will be holding Olympics beginning in the next 2 years, there was discussion about cooperation between the nations. Additionally, ideas were provided on how to share information from the participation nations, especially the information on the spectrum and decisions on technical issues in which cooperation is important and necessary. 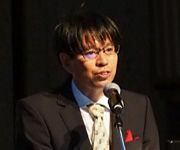 – As for businesses that will use 5G, technology based appeals won’t drive its use, instead it will be issues 5G will solve and the understand of value that only 5G systems can create. Additionally, there was discussion on how to cooperate on the testing and discussion needed to implement these uses. 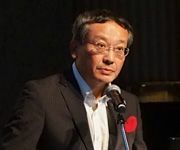 – Prof. Sampei, 5G Technical Committee chairman, pointed out that what was needed for the age of 5G was not just increasing information distribution, but further research into new approaches into the technology and business models as well as how the management of the system will be distributed.